Mark recently retired from the Michigan National Guard after 38 years of service. While serving with the Military he deployed, and reached the rank of Colonel. Mark was the full-time Deputy State Surgeon and Commanded a Medical unit in Detroit. Mark is currently a Certified Personal Trainer and Group Fitness Instructor thru Athletics and Fitness Association of America (AFAA). 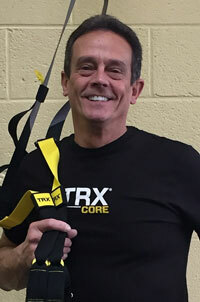 Mark teaches and is certified in many fitness formats such as; Moving for Better Balance, Brains and Balance, Silver Sneakers, Kickboxing and TRX. Mark is the Wellness Coordinator at the YMCA in St Clair Shores. He loves the Martial Arts, and holds a 2nd Dan Black Belt in Tae Kwon Do. Mark is also a Certified CPR Instructor thru the American Heart Association (AHA) for Basic Life Support (BLS) and Basic Heart Saver (BHS) and AED. Mark holds a Master’s Degree thru Davenport University in Health Care Administration and a Bachelor’s degree in Business Administration from Northwood University.